Ok. So this is going to be pretty good. Probably not timely, because I am all kinds of not used to the upfront work needed for story arc comics, but good. 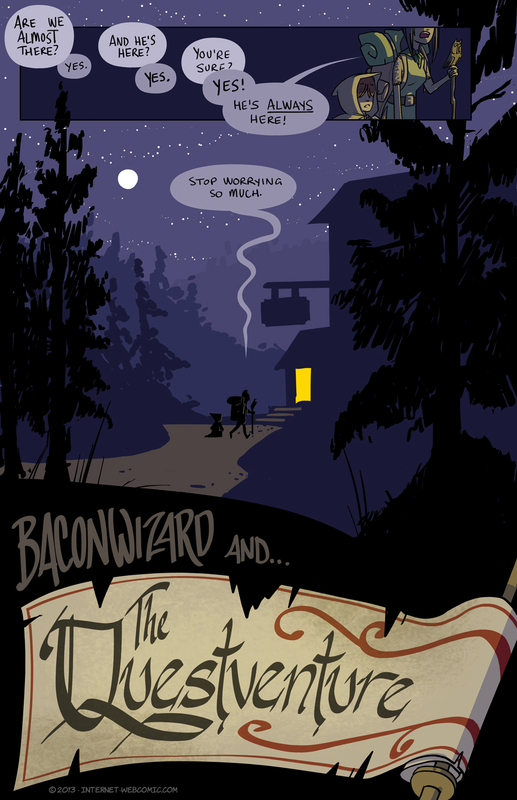 Bacon Wizard Week, by popular demand. Hopefully, the master of pig-meats is up for some (mis)adventure. Speaking of which, I have to talk to the Bacon Wizard to replenish my supplies of +3 Bacon. Its the return of the bacon wizard. I still say the Bacon Wizard will meet his match in the Ovumancer! Oh yes I can just tell that this is gonna’ be good!